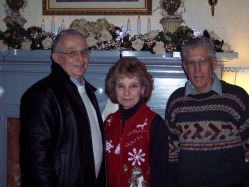 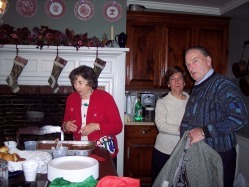 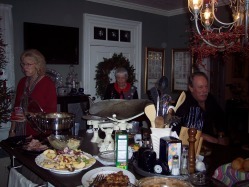 Our Christmas Party was held at the historic Heiss/Schweikert House on Steese Road on December 11, 2009. 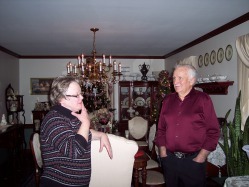 Members of the Portage Lakes and Lake Township Historic Societies were also in attendance. The Green Historical Society prepared Caroling Books for distribution during the caroling festivities at the City of Green Christmas in Town Park Celebration. 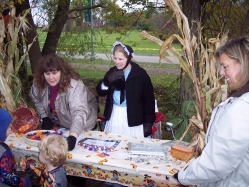 The Green Historical Society participated in the City of Green Trick or Treat Trail at Boettler Park in October. 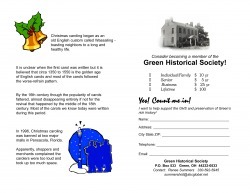 The GHS created a unique float entry for the City of Green 2009 Memorial Day Parade. 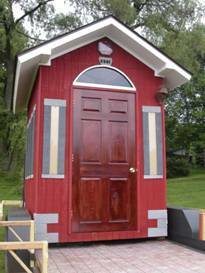 The float was a shed designed to replicate the historic Schoolhouse in Boettler Park. 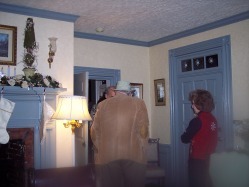 The shed was then raffled off to one lucky winner!